New year, new resolution! This new year, we have published the site with brand new interface coded with a new coding language. We have abandon php and replace it with json. 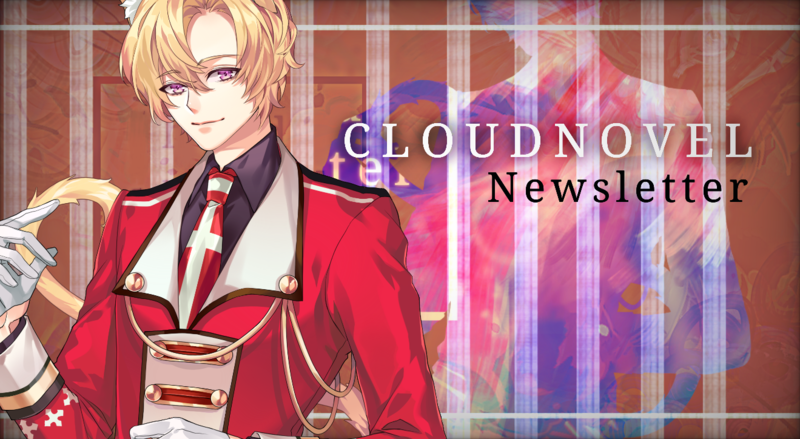 Have you seen the new interface of CloudNovel site? How do you feel about it? Do you like it? Each year, CloudNovel has been growing more than the last so there have to be so many changes we have done to make CloudNovel a better engine. Therefore, we feel like we should keep you updated with new features scheduled to coming up next! a weekly newsletter (updates every Friday) featuring engine updates, general news (new published/updated visual novels, new resources, new dress up games) and event news (jams and contests, art/writing challenges). a monthly newsletter (updates at the end of every month) collecting the most relevant news from the weekly newsletters of the month + a special interview. For every update, we’ll send out an email to everyone and link it to our discord server in #newsletter channel. We’ll also try to post more on this blog so please subscribe if you’d like to interest to stay updated with us. Other than that, we will collect your feedback and reactions each week to improve our site, as well as suggestions about the topic of the next interview. Next: Next post: Jolly Jam finished! !